These are just some examples of the raging enthusiasm that came over the social media feed alongside TRI Studios’ debut high-definition (HD) webcast last night. 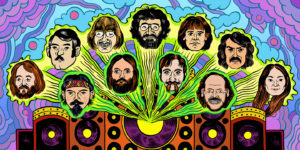 TRI stands for Tamalpais Research Institute and is the brainchild of former Grateful Dead guitarist and vocalist, Bob Weir — now a tried and true bandleader in his own right, currently fronting Further (with former Dead bassist, Phil Lesh), Scaring the Children, and his longstanding RatDog outfit. After a few months of hype and teaser videos on their website, TRI Studios officially launched with its maiden voyage, a live HD video and audio webcast of a two-set performance from Weir that pulled in a cast of famous faces from the Grateful Dead family of musicians, including Jay Lane (RatDog, Further, Scaring the Children), Rob Wasserman (RatDog, Scaring the Children), Jeff Chimenti (The Other Ones, The Dead, RatDog, Further), Robin Sylvester (RatDog), and Steve Kimock (The Other Ones, Phil Lesh And Friends, Zero). Also on hand were John Cutler on sound and Justin Kreutzmann (son of former Dead drummer Bill Kreutzmann) on video direction. Aside from the addition of brass and woodwind accompaniment (thanks to members of the Marin Symphony Orchestra), the setlist and pacing of the show wasn’t that different from what has appeared in RatDog’s vast repertoire over the past decade — a flavorful selection of Bob Weir and John Perry Barlow penned originals and a lot of Dead. It’s been a long time since Jerry Garcia’s death, so Weir has dutifully adopted dozens of Garcia and Robert Hunter songs, embracing and exhibiting their performances as if they were his own — as he so masterfully did with last night’s exquisite renditions of “Sugaree” and latter-day Dead tune, “Days Between” (a song Phil Lesh first resurrected back in the late nineties with early incarnations of Phil Lesh & Friends). The show began with a solo acoustic Weir in the main performance room, set up with his stool, a teleprompter, a road case used as a kick drum, and a touchpad room equalization tablet. In between several songs, Weir would “tune the room” — adjusting the settings on the tablet to have a direct effect on the way the room sounded, how the small in-studio audience would hear, how the internet audience would hear, and how the musicians would hear each other. As the show went on, more musicians wandered in. Jeff Chimenti, a definitive sound staple in the Weir lexicon, seemed to make the best use of the room. Perhaps because he was playing a grand piano, a versatile instrument that’s technically in the percussion family and has the ability to both groove and emote. The solid and beefy bottom end was expertly held together by Rob Wasserman on upright bass and Jay Lane on the drum kit, with flourishes of electric bass provided by Robin Sylvester. The energy in the room was brought to high levels whenever guitarist Steve Kimock let go. As in the past, Kimock’s shredding ability and sonic wizardry brought profound joy to otherwise somber Dead classics like “Cassidy” and “Bird Song.” And of course, Weir — the star of the show and a scraggly rock God. His youthful exuberance was alive and well at age 63 while leading two separate incarnations (between both sets) of tonight’s band in and out of a segmented rendition of the Dead’s great hard rock rollercoaster, “The Other One” (a song he wrote almost 45 years ago). All of this while keeping the “room tuned” and engaging with a huge online audience. Weir seemed the most pleased when he went to shake hands and show his gratitude to the Marin Symphony players — many of their parts transcribed by him and first used at last week’s First Fusion performance. “There’s an immediacy about live music… and I want to bring it into people’s homes,” said Weir when fielding questions coming in via Twitter during the set break of Friday night’s performance. This hearkens back to the Dead’s Wall of Sound system in the mid-seventies, which was an enormous wall of speakers that they also used as a monitoring system. Allowing for such weirdness as one string of Phil Lesh’s bass coming out of one speaker and another string coming out of the next. The Dead have always been at the forefront of new music technologies, not to mention the way music is distributed, consumed, and marketed. Weir’s immediacy and risks taken on stage are the top selling points for his fans, as they always have been. 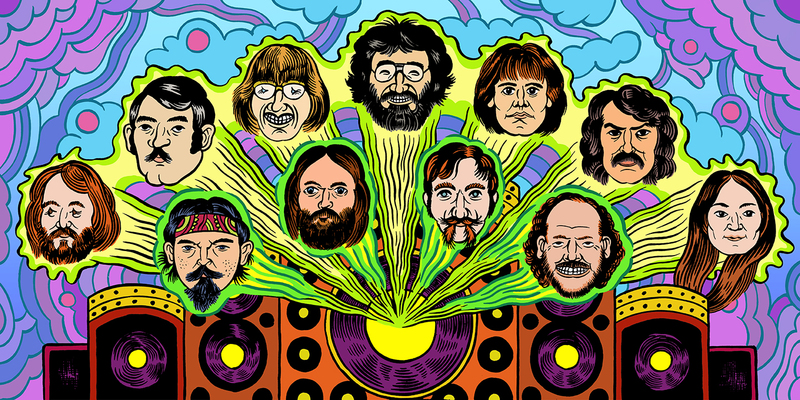 Special thanks goes to Dead fans, who have been Weir’s trusty marketers for over forty years. As explained in David Meerman Scott’s and HubSpot’s Brian Halligan’s Marketing Lessons from the Grateful Dead: What Every Business Can Learn from the Most Iconic Band in History, “The Grateful Dead teaches us that building a community and treating customers with care and respect drives passionate loyalty.” Dead fans Friday night were personally played to as well as directly marketed to, with TRI Studios also used as a music marketing tool. Imagine having that trust for nearly half a century? Josh Sternberg’s excellent piece from 2009, “What Twitter and Facebook Can Learn From Phish” describes Phish’s relationship with its audience and their community-driven marketing tactics. A band that formed nearly twenty years after the Dead, Phish’s core values are markedly the same, but less focused on newer sound technologies and more on pushing the limits of its improvisational techniques and its relationship with its audience, both online and off. The trust both the Grateful Dead and Phish organizations put into their audiences is a highly sustainable business model — and it’s easier said than done. But last night’s performance proved to be yet another successful campaign — hopefully seeding the development of more music distribution methods like it. TRI Studios is located in Marin County and about five miles from Mount Tamalpais, the highest point near San Francisco. In a touching moment during set break, Carolyn Garcia (known to most people as Mountain Girl, Jerry’s first wife and mother of his oldest children) explained some of the mystical connections the mountain has to the region and its people. It was a pleasurable reassurance that Jerry’s soul was indeed in the room that night; a man who predicted that music would some day be shared through wires over long distances and a man who would have given all his music away for free.